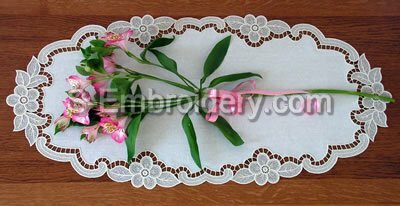 A free standing lace table runner machine embroidery design. The size of the ready runner would be 31 x 14.5 inches (37 x 79 cm). The design has 6 parts, each of them fitting in 5x7 hoops. 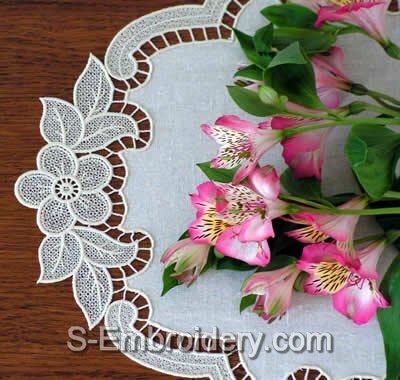 You receive 6 machine embroidery files in one of the supported formats,design information and instruction for creating the doily in PDF format. 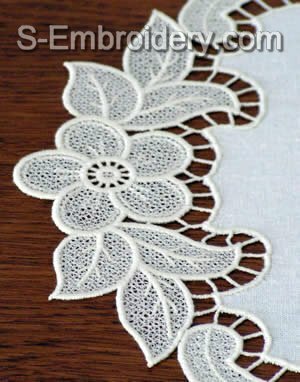 I loved making this, very easy. Now all my family wants one.